Coenzyme Q10 (CoQ10) is a vitamin-like substance that is found in nearly every cell of the body. It is a potent antioxidant and is necessary for energy production. 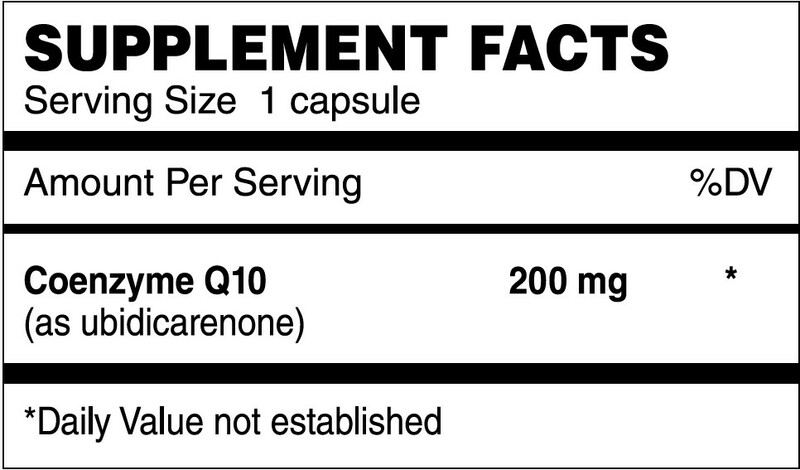 CoQ10 supports healthy heart and cognitive function. It also promotes healthy blood pressure and healthy gums. Levels of coenzyme Q10 decline with age and can also decrease when taking statins to lower cholesterol. Nutri-Supreme uses KanekaQ10™, the most thoroughly tested, widely trusted and highest quality bio-identical CoQ10 in the world. Directions: As a dietary supplement for adults take one (1) capsule daily preferably with a meal (which includes some type of fat for better absorption) or as directed by a healthcare practitioner. Other Ingredients: Vegetable cellulose, microcrystalline cellulose, ascorbyl palmitate, silica.